If you are planning to focus on weddings with your ministry this kit includes almost everything that we offer to help you with officiating a special day. If you plan to focus your ministry on weddings in particular then this is the package for you! 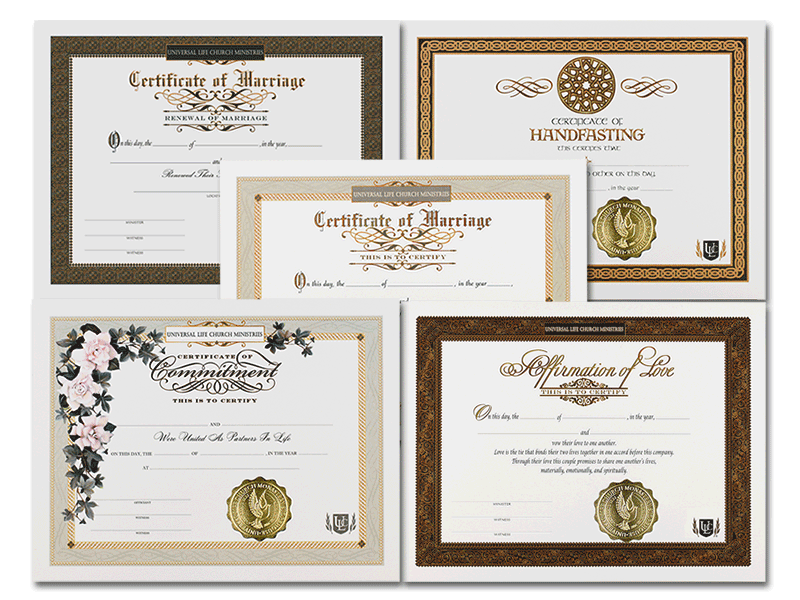 It contains everything that you will need to officiate a wedding ceremony and much, much more. 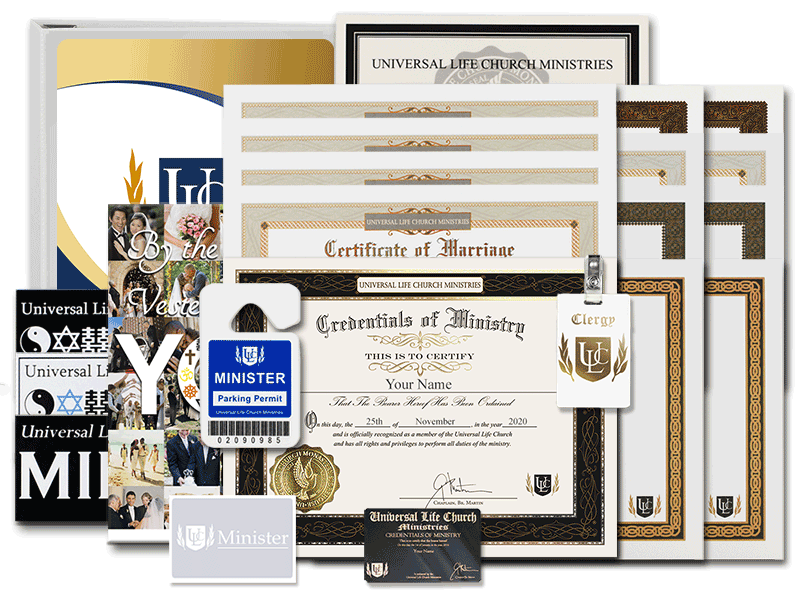 This kit features your legal credential of ministry as well as a complete set of commemorative certificates and the best selling book "By the Power Vested In You". The best place to start when launching a wedding ministry this will help you organize from rehearsal planning to the vow writing. Weddings in Nevada and New York City require a special state package, not this package.